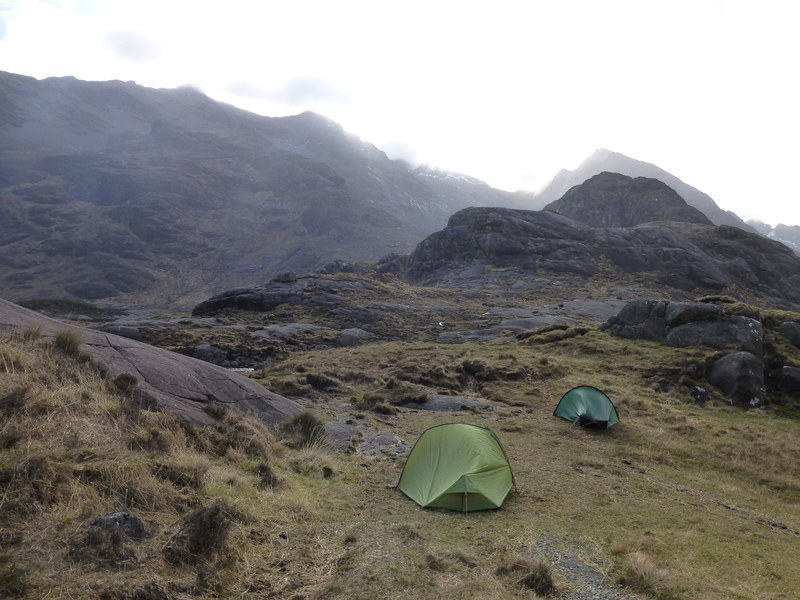 We pitched our tents in the lonely Pass of the Thieves, the Bealach nam Meirleach. 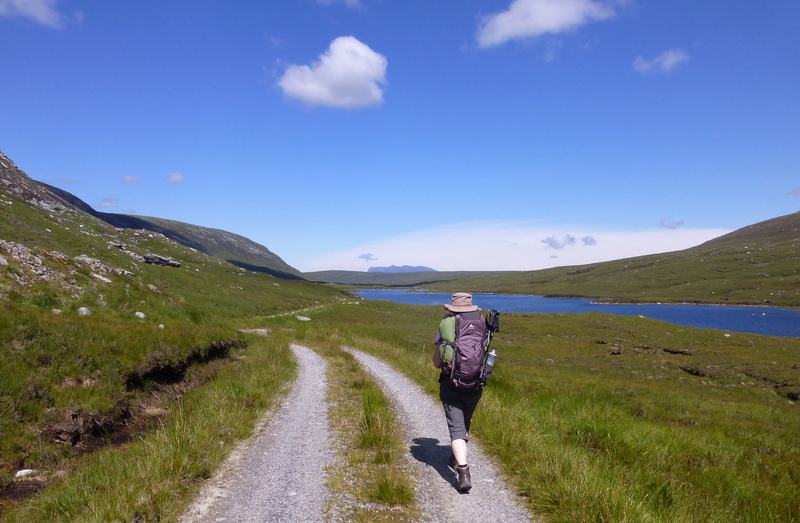 It’s a bit off piste of the “official” trail because erudite Donald-who-drives-the-Durness-minibus told us when we jumped aboard it was the better route in to Gobernuisgach, the remote shooting lodge we were headed for, five miles away in the hills. And the old lady sitting beside him in the front nodded knowledgeably in agreement as the bus sped up the single track road. We took their advice and somewhere in the wilderness of Sutherland’s lochs and hills he pulled up in a layby, unloaded our packs and pointed out the track through the heather. “Good luck with the clegs,” were his last words as he revved the engine and quickly rolled up his window. The first of the legions of insects had silently settled on my forearm even before his van had turned the bend, but I didn’t notice until I felt the needle prick my skin. It was a foretaste of the carnage that was to follow. I’d forgotten about clegs (or horse flies). I certainly didn’t know they’d be able to penetrate my thin clothing, or that they’d be impervious to the thick later of insecticide I’d plastered over every exposed inch of skin. They’re lazy, sneaky insects with a heavy-duty impact – as my red and swelling wrist was demonstrating. We ducked, swatted and swiped our way along the old drove route that had been used by generations of farmers to walk their cattle to market hundreds of miles away in the south. 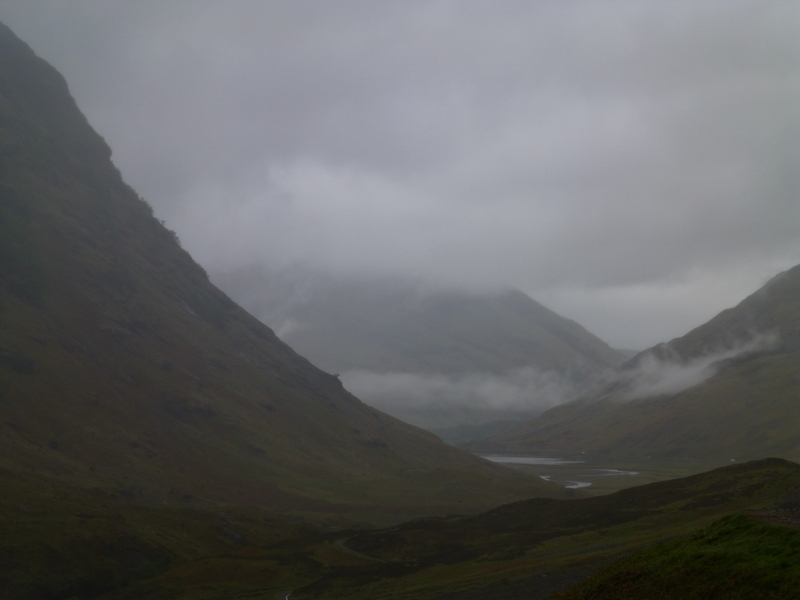 Their long journey to Falkirk or Perth from Sutherland took weeks, and on one occasion when the men returned with their annual earnings, they were ambushed and robbed in this isolated place. The gaelic name, Bealach nam Meirleach guarantees the crime will never be forgotten. The walking was flat, easy and (once the clegs retreated) lazily slow in the burning sunshine. We dawdled, stopped to rest, fill bottles and drink from sparkling waterfalls then by early evening, when the lochs spread out along the strath before us, we set up camp, ate and settled down in our sleeping bags. 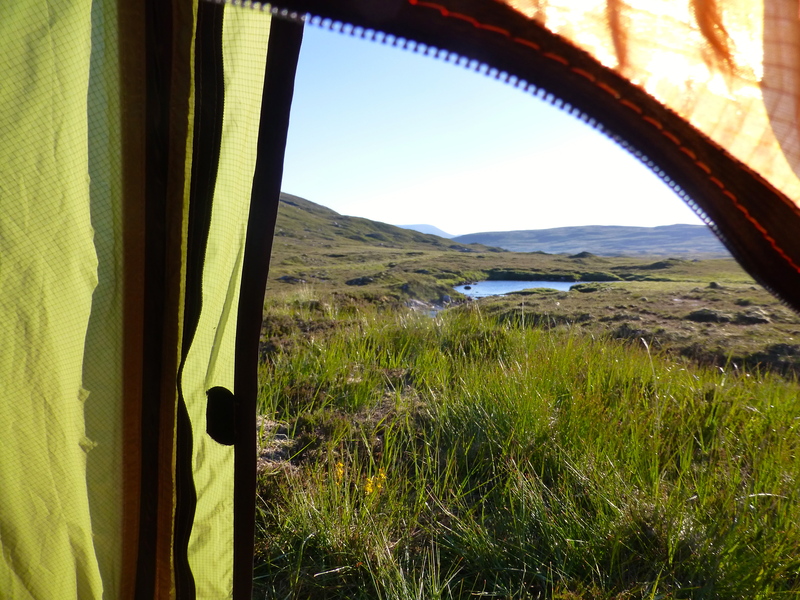 A stiff breeze flapped my tent and I lay gazing out at faraway Ben Loyal, listening to the persistent gurgle of water through the rocks below. There were no ruins here, no signs of previous habitation, no stone walls or broken down fences. As my eyes closed I relished the thought that I was likely to be the first person ever to lay my head down and sleep on this few square feet of remote earth. Sutherland, the far empty corner of the northwest, is Scotland at it’s most remote. It’s wild, bare and beautiful but in mid summer it can also be catastrophically itchy because it’s home to the meanest, most prolific midges on the planet. And for the next few days we’re going to run the gauntlet. It’s been 15 months since we had to pull out of the long-distance Sutherland Trail just half way through when the weather closed in with rain, snow and sleet – and the prospect of another three or four days in the hills with no shelter was just too grim. 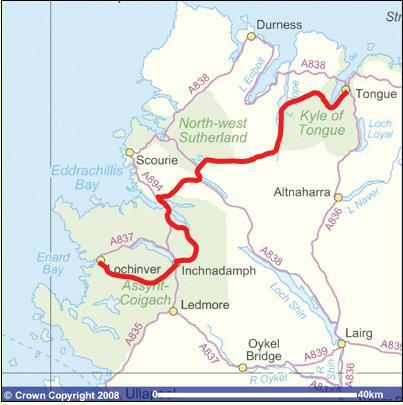 We’ll be taking the train tomorrow from Inverness back to Lairg then transferring to a minibus to the tiny village of Achfary to pick up where we left off, wild camping on the isolated tracks through glens and hillsides that should be starting to turn purple with heather in full bloom. The only niggling worry is that it’s peak season for the notorious midges so, unless there’s a wind to keep them at bay, we’ll be in trouble. This adventure has been a long time in the planning but my rucksack is packed (and ominously heavy) for four days of walking, my new boots are about to face their first serious test and the weather is looking good. All we need now is a strong Sutherland breeze to keep the beasties at bay. It’s misty and moody and I just can’t stay away. Scotland’s west coast has been calling me this summer and I’m no sooner away than I’m back. 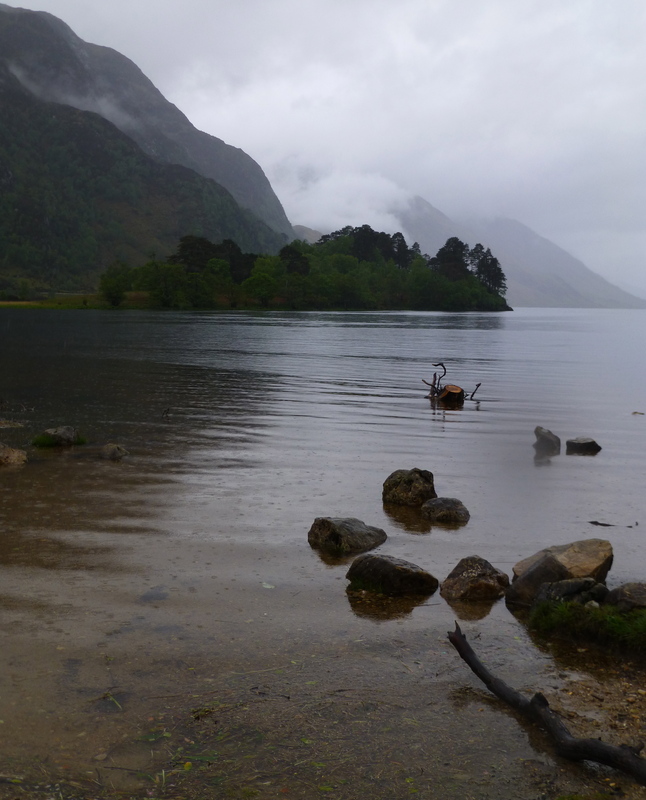 I’ve walked through showers and downpours then wakened in the tent to pools of water in the “porch” and a wee cowerin’ beastie (not a rat or mouse or vole – so what was it?) nestling under my rucksack. That was a surprise; for both of us. 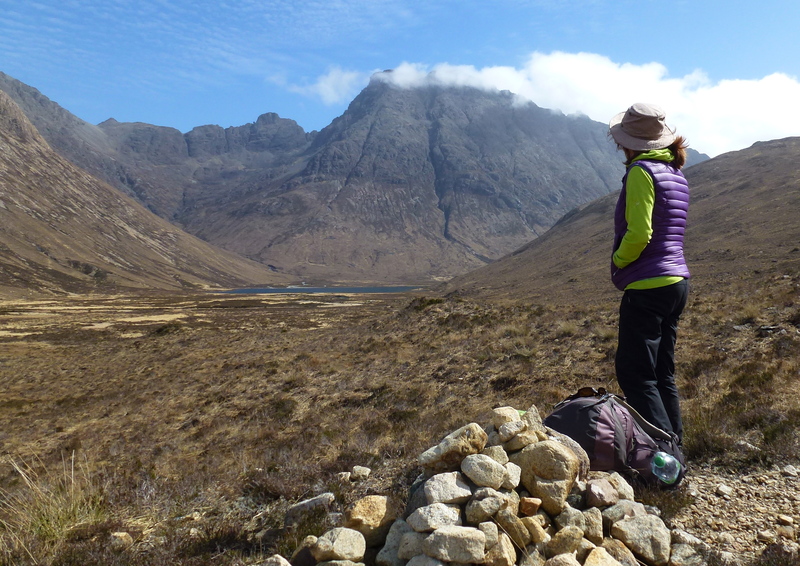 I follow hill tracks and paths with a head full of Bonny Prince Charlie, clan battles and Highlanders, between mountains and alongside rivers in spate; near Glencoe, Black Mount and onwards to Kingshouse below the Buachaille Etive Mor. And I’m going back again today. Stob Binnean and Ben More are the big hills that beckon my old walking pal and I. There’s rain forecast, of course, but we’re undaunted. I’d wanted to see Loch Coruisk for years. 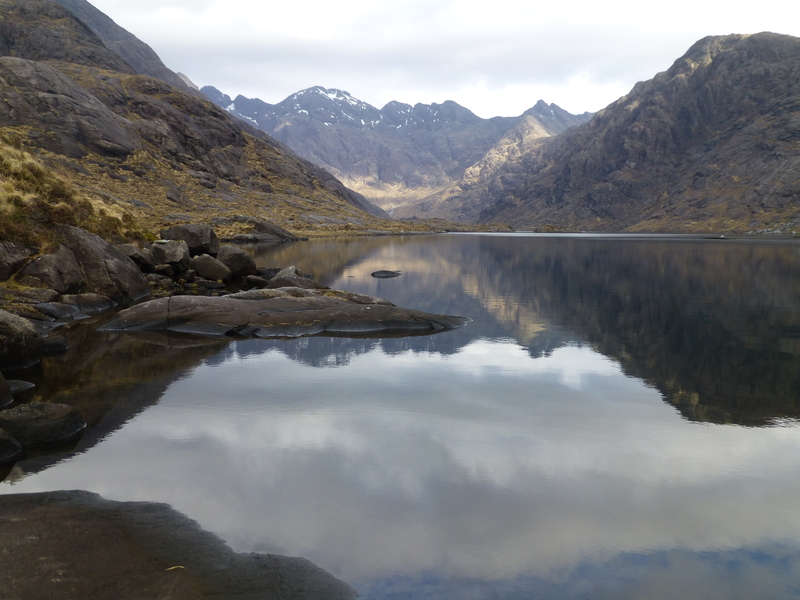 It’s buried deep in the Isle of Skye, a six hour walk from Sligachan into the shadows of the Cuillin mountains. I’d longed to camp there and explore, to gaze up at those imposing hills and feel the peace of the place I’d read about and imagined. Last weekend I finally reached it. It took two years of deliberation, but finally the van is On The Road. And the first camper adventure may have been brief but it was shared with my sons. 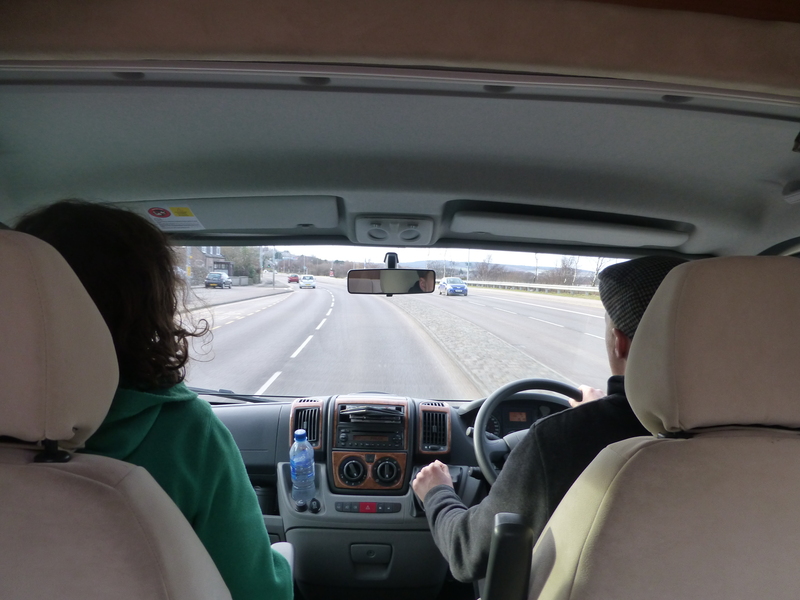 So on this momentous occasion my view from the back seat of the two co-drivers is the one I’ll treasure. It’s taken years of searching and longing, numerous near misses and countless emotional highs and lows but yesterday I finally took a deep breath and committed. The One is strong, lean, adventurous and has a name that promises off piste excitement and adventure. How could anyone resist a “Jazz Champagne” model in the colour of pale biscuity bubbles? Clearly not me. It has impractical creamy leather seats, an awning for the Scottish rain, fly screens for midges, charcoal grey carpets to disguise muddy footprints and a multipurpose desk/dining table/bed which will surely become faster to manipulate as time goes by. The fog lights, cruise control and reversing sensors are bound to be useful too. There’s a proper kitchen and a tiny washroom with minimal storage for moisturisers and shampoo. Engine? Er… Peugeot. Four wheels and probably a spare somewhere. As with any partner the practical considerations and reliability will ultimately prove more important than initial impressions and outward appearances. But you have to fall in love first. I’m picking in up in 10 days time. Maybe it’s the longer light that’s fuelling the urge. It’s been particularly strong in the last couple of days. I’ve spent hours online researching the options and poring over specialist magazines, then at night I dream of the wild sites I’ll park in, the prospect of a home and the freedom to roam. I’ve narrowed the styles down. Again. And tomorrow I’m going to do something about it. Yes, again. My long-suffering friend is coming with me. OK, yet again. But he’s refusing to return to the showrooms we’ve already spent days trawling through, trying the patience of salesmen, asking questions, wearing out the locks on drawers and cupboards and making permanent dents in the upholstery. Well, you need to be sure, don’t you? Tomorrow it’s somewhere new, with styles I haven’t seen before. I’m so excited I may not sleep tonight. Campervan, motorhome, RV; no vehicle escapes my attention. Out on the roads I’ve crawled behind the models I’m interested in for mile after mile, holding up the traffic (and often going in a direction I hadn’t intended) while I wonder how it would feel to be driving that machine, what my options would be for an overnight stop and if it’s really as good as camping. I need a home for a while but it has to be small and not too clumsy because it’ll also take the place of my dear little car and permanently packed tent. As I walked back from the beach in the dark yesterday afternoon I saw a vehicle swing round the harbour and park up at an angle to get the best view of hills and sea and moon. 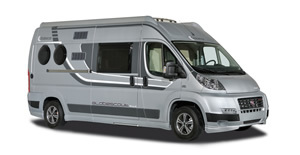 It’s bigger than the van conversion style I want but it was enough to convince me that it’s still an option in January. In Scotland. The problem is that (until now, at least) common sense kicks in before I sign the cheque and reminds me that I’d be parting with a substantial chunk of my limited resources. I don’t want an old one that’s going to cause me problems so I’m looking at new or almost new. Today’s favoured model is Globecar but I can’t predict what it’ll be after tomorrow. I wonder if Camper Envy is a medical condition?